AMERICANS shopping for a mattress online may find the selection at Casper, a New York-based mattress startup, somewhat lacking. Unlike brick-and-mortar shops, which offer dozens of models, the startup sells just three. And yet Casper’s customers are spoiled for choice at the till. Those who cannot afford to pay with a debit or credit card, or PayPal, can pay by instalments over six to 12 months. 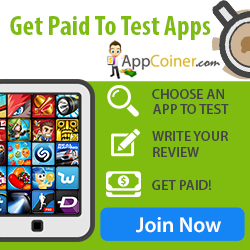 Those who make payments on time can enjoy the service free. Some traditional banks have piled into the point-of-sale market. In 2015 Citizens Financial Group, a regional bank, began providing instalment loans to customers upgrading their iPhones at Apple stores. Its portfolio of such merchant-financing loans grew from $ 700m to $ 1.2bn over the past year. Millennials toting iPhones are not the only ones borrowing more. 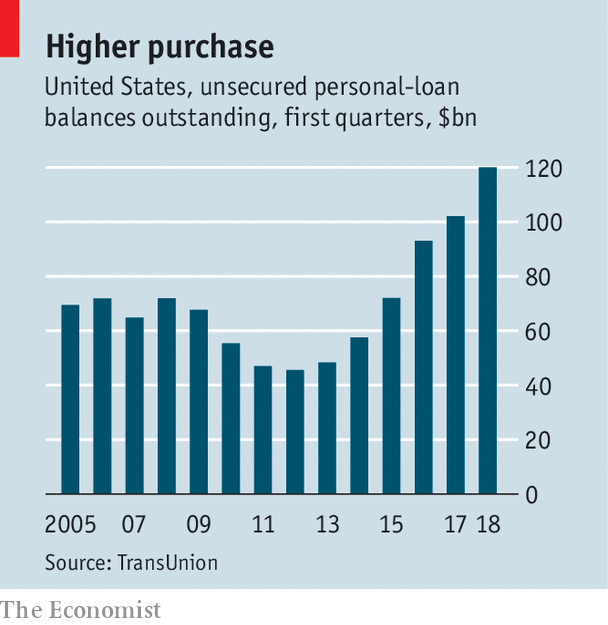 In the first quarter of 2018, personal-loan balances in America surged by 18% year-on-year to $ 120bn, according to TransUnion, a credit-scoring firm (see chart). Credit-card debt, meanwhile, rose by just 6%. Affirm’s loans, which typically range from $ 500 to $ 5,000, tend to carry higher interest rates than traditional credit cards. But the firm says borrowers end up paying less because they are not subject to hidden fees or compound interest, and have a set pay-off date. Its figures suggest that merchants using the service see revenue increase by 7-12% thanks to shopping baskets that are bigger and less likely to be abandoned before checkout is complete. Other lenders partner with brick-and-mortar sellers. GreenSky, an Atlanta-based lender founded in 2006, arranges financing for home improvements, elective medical procedures and other pricey items. Rather than lend the money, it matches merchants like Home Depot with banks like SunTrust and Regions Financial to finance their loans. Loans are arranged face-to-face by the retailer or contractor making the sale, cutting the risk of fraud. GreenSky, which makes money by charging fees to both merchants and banks, earned $ 326m in revenue and $ 139m in net income in 2017. It went public in May and is now valued at $ 3.5bn, making it America’s fourth most valuable fintech company.